Highlights: Colosseum, Trajan Forum, Colosseum (outside), Arch of Costantine, Circus Maximus, Bocca della veritá, Roman Forum and Capitoline Hill. Highlights: Trajan Forum, Colosseum, Arch of Costantine, Circus Maximus, Rose Garden, Knights of Malta Square, Orange Trees Garden, Bocca della veritá, Marcello Theatre, Roman Forum and Capitoline Hill. VIRTUAL REALITY experience at the Colosseum stop. Highlights: Trajan's Column, Venice Square, Sant'Ignatio of Loyola, Temple of Hadrian, Pantheon, Navona Square, Palazzo Montecitorio & Parliament Building, Column of M. Aurelius, Colonna Square, Spanish Steps and Trevi Fountain. 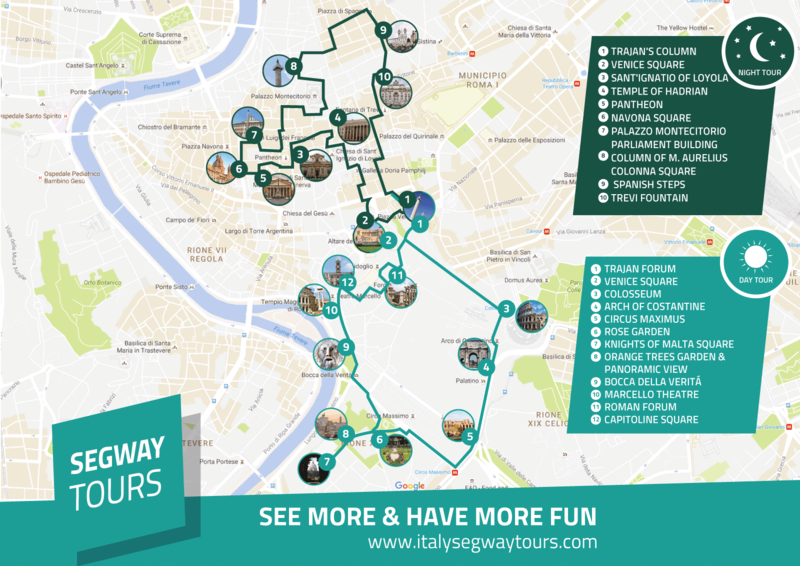 Highlights: Private Experience only for your group, Colosseum, Trajan Forum, Colosseum (outside), Arch of Costantine, Circus Maximus, Rose Garden, Knights of Malta Square, Orange Trees Garden, Bocca della veritá, Marcello Theatre, Roman Forum and Capitoline Hill. VIRTUAL REALITY experience at the Colosseum stop. 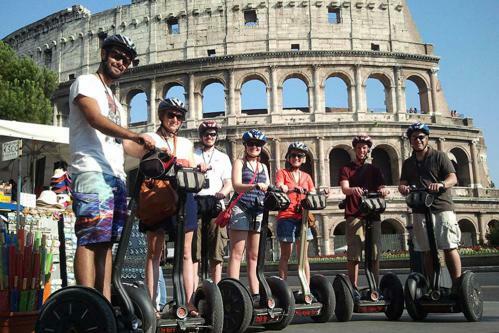 it is the most convenient way to visit the entire historical center of Rome in less time than simply walking. 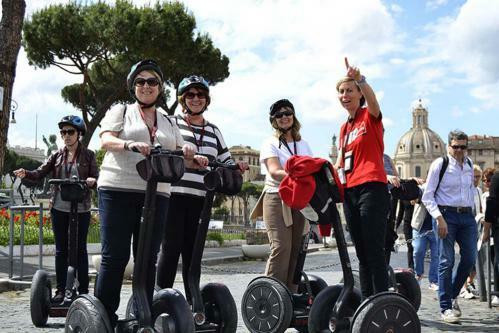 With our tours, you'll be able to glide from the Colosseum to the Imperial Forums, from the Circus Maximus to the Santa Maria’s Church and its Bocca della Verità wall sculpture and much more. 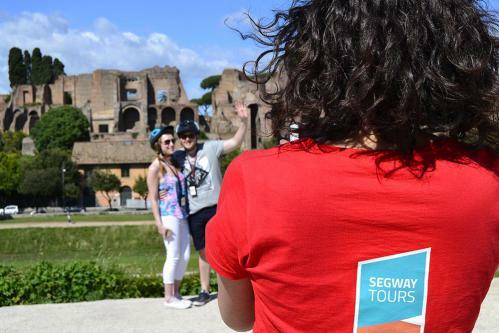 Don't miss the chance to experience Rome by Segway! Rome at night is unparalleled by any city in the world. 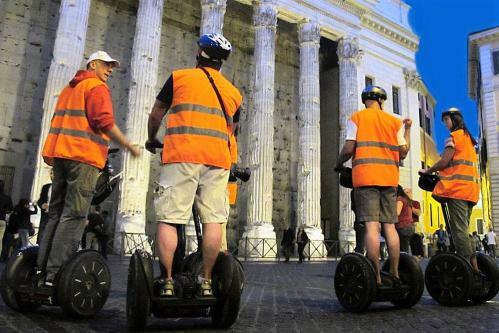 Make the Segway Night Experience one of the memory you take home with you. On our Rome Bike Tour you will discover the historic center of Rome in only 3 hours led by an English speaking guide and we will give you the opportunity to see more sights in less time than on a walking tour.